If the Storm falls, then Seattle Mayor Durkan will wear a Mystics jersey and send Washington D.C. Mayor Muriel Bowser a gift basket from locally owned women's businesses. 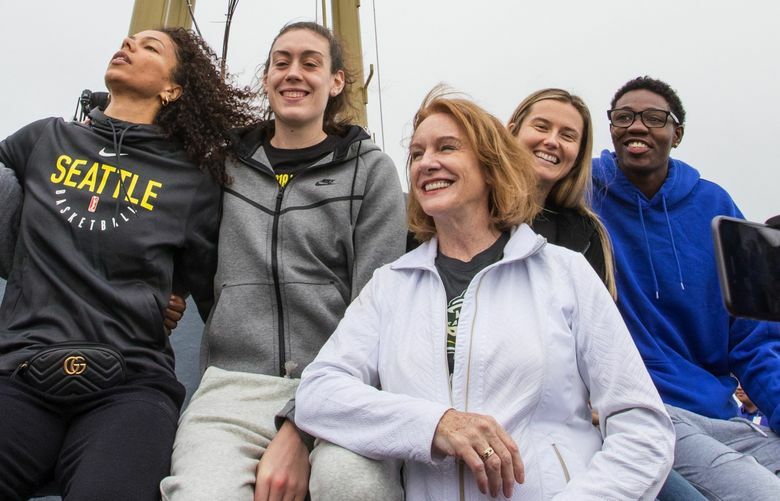 Seattle Mayor Jenny Durkan and Washington D.C. Mayor Muriel Bowser made a friendly wager on the WNBA Finals. The mayor of the losing city will wear the winning team’s jersey and send the winning city’s mayor a gift basket of products from locally owned women’s businesses. If the Storm falls, then Durkan will send Bower treats from Molly Moon’s Homemade Ice Cream, Cupcake Royale, Rachel’s Ginger Beer, Fremont Brewing, Fuel Coffee, Fran’s Chocolates and Glassybaby. And if the Seattle Storm prevail, Bowser will send a Durkan goodies from Lee’s Flower and Card Shop, CIVIC Vodka, Baked by Yael cakepops and half-smokes from Ben’s Chili Bowl. Seattle or DC? #ObviouslyDC@MayorJenny, we’ve dealt with our fair share of storms in DC this summer and we’re prepared to handle one more!